Gary Neville opines that Arsenal’s recruitment “has been so bad” in the past that it is going to take Unai Emery more than one transfer window to build a competitive squad. The former Man United skipper was speaking following the Gunners’ 2-0 loss to Man City in their season opener at Emirates Stadium on Sunday. 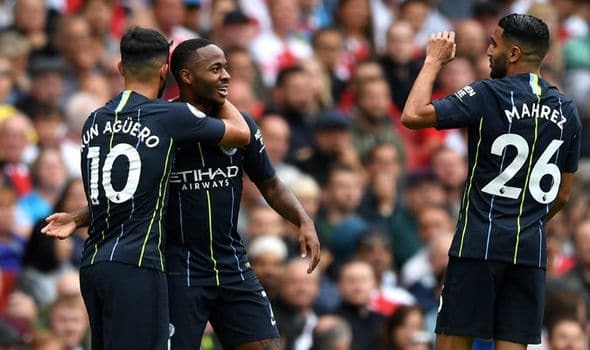 Raheem Starling and Bernardo Silva netted in each half for the Cityzens to hand the former Paris Saint German gaffer a rude welcome to the Premier League on debut. “I don’t think this is short term, the recruitment has been so bad there over this last 3 or 4 years. It’s going to take basically two or three, four transfer windows to sort this out,” Neville said. “This is a great coach, Unai Emery, he needs 3 or 4 transfer windows,” he stressed. The Englishman holds that if it took Man City’s Pep Guardiola, “the greatest coach in the world” three transfer windows to craft the dreaded squad he has currently, then Unai will have to dig deeper. “I don’t care who the coach would be – you could bring Pep Guardiola in here.